Most of you have probably noticed by now that my social media presence has been practically nonexistent. I've been a lousy blogger and return visitor, and I hate it, but there wasn't much I could do about it. My alter-ego's life has radically changed. 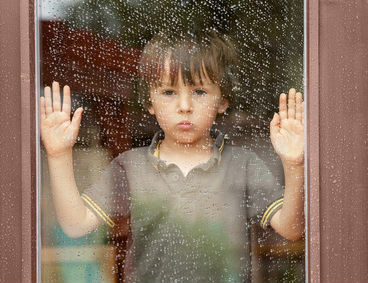 Due to factors outside my control, I'm going to have to go on hiatus...a real, serious hiatus. I won't even be doing IWSG or promo posts for a while. 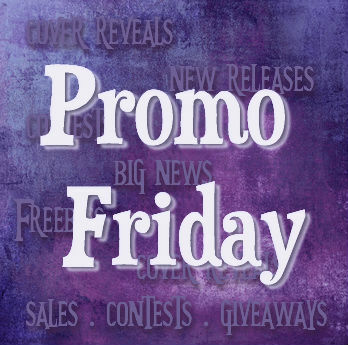 It's time for Promo Friday again! Well, not really. I needed to run the December post early, and my guest graciously obliged. Woot! It's time for the cover reveal of The Undead Road by David Powers King. David has become a good cyber-friend, and I'm very excited for him. (Great cover, dude!) 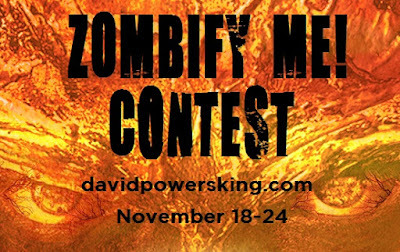 Make sure to read the details below--this cover reveal includes a very cool and unique contest! 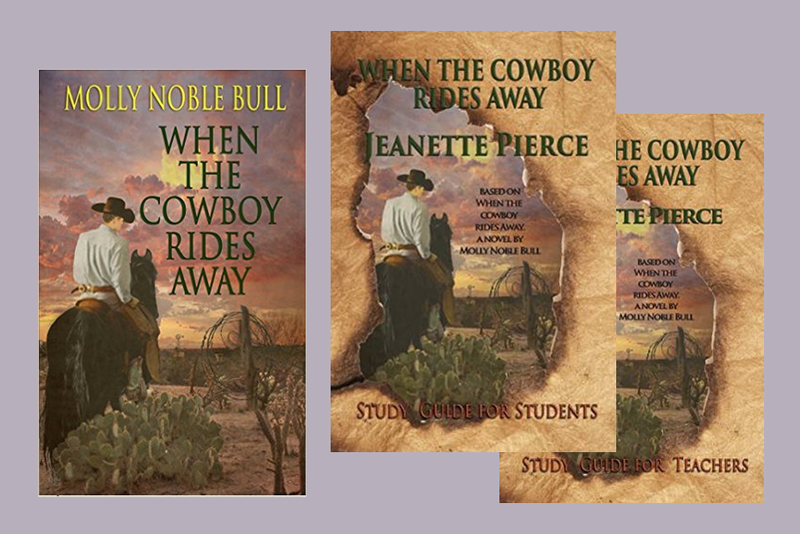 I'm happy to announce that my mom, Jeanette Pierce, has published a second set of workbooks, this time via Elk Lake Publishing and based on the Western Christian Romance When The Cowboy Rides Away by Molly Noble Bull. These workbooks are designed for use by private schools, home schools, and individuals, and are available on Amazon. Denise Covey, and Tyrean Martinson! My personal life is taking over with a vengeance, and my social media presence is all but non-existant. Because my writing has come to a screeching halt, and my insecurities - both writing and not - are too numerous to list, I decided to re-post something to help you with your writing. It's an old post from in 2013. It was aimed at people doing NANO, but it's for anyone wants tips to speed up their writing. I must interject that I have had the pleasure of reading REVIVAL, and I can assure you it's a well-written, compelling story that is very much worth your time. 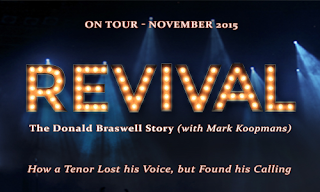 Hands down, REVIVAL earns five stars. Tomorrow is the actual Launch Day of my first book, REVIVAL – The Donald Braswell Story, but before getting to know Donald, some people wanted to learn a little about me. Okay, so Mom and Dad, the strangest thing I’ve ever done for my writing is also one of the coolest. In 2006, I worked for my first newspaper, a weekly in Central Florida called Hometown News. Never an ambulance-chaser journalist, (and I never will be), my beat covered a huge area, so I was always on the lookout for a feature, something different to sink my gnashers into. Talking with charity officials, I became the first reporter in our company to work an overseas story, and spent four days in Haiti, basically embedded with the charity workers as they did their thing. 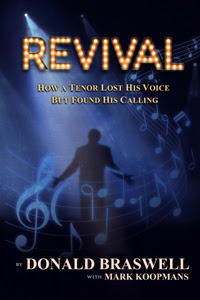 It became one of the professional highlights of my career, and the five-part series I subsequently wrote remains among my favorite pieces prior to writing REVIVAL. My point is this—if a writing assignment presents itself, you should grab that bugger by the throat, and not let him go until the final period or exclamation point is on the page. Embrace the challenge and step outside of your box. Who knows the end result, but magic definitely won’t happen unless the magician practices her craft. Ever stepped out of the box to further your writing? Thanks so very much, Melissa, and to everyone who stops by! 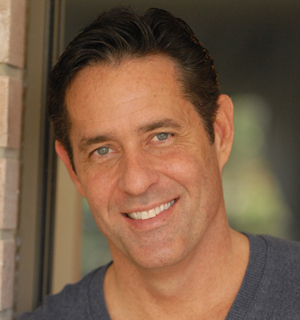 Donald Braswell II is an American actor, classical crossover tenor and composer. Braswell was on a fast track to become an internationally acclaimed opera singer when he suffered a car accident in 1995 that made him unable to speak for almost two years. After that, he lived a quiet life outside of the spotlight until his appearance on the 2008 season of America’s Got Talent where he was a Top 5 finalist, which gave him another chance at a career in entertainment. Since then, he has entertained audiences both internationally as well as shore to shore in the United States in concerts, television appearances, inspirational speaking and radio. Donald has recorded four studio albums and has an international fan club with followers in more than 25 countries. Donald is a testament to the powers of the human spirit in difficult times and he inspires all who come to know him. Learn more about Donald’s story via this 6-min YouTube clip showing his awe-inspiring first audition on America’s Got Talent. 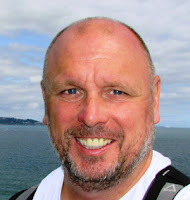 Mark Koopmans is originally from Ireland. After working in Holland, Spain, France and England, he won his U.S. “Green Card” in 1994, and is an American by choice since 2003. Koopmans began his writing career with a feature for a regional magazine in California. Since then, he’s worked as a staff writer for newspapers in Florida and Texas. Koopmans is also a proficient blogger and is working on his next book, a novel. Koopmans lives in Virginia and is a married, stay-at-home dad to three active boys under the age of nine. He writes at night. previously scheduled promo posts and IWSG.